Simon Bann graduated from King’s College and the London Hospital Medical School and undertook his Basic Surgical Training on the Royal London and St Bartholemew’s programme. Training continued at the Royal Surrey County Hospital and Minimal Access Unit before his appointment to the North Thames Higher Surgical Training Programme. He took time out of the training programme to undertake research and write his thesis with Professor Lord Darzi as his supervisor; during this time he also worked in Hong Kong with Professor John Wong. He returned to the Programme with specialist UGI training taking place at the Royal Marsden, Chelsea and Westminster, Hammersmith Hospital and St. Mary’s where he was the advanced laparoscopic and UGI fellow before coming to New Zealand in 2007. He has published extensively in a number of areas including assessment of surgery, new technologies in surgery and advanced laparoscopic surgery. He continues his interest and research in surgical training and education sitting on a variety of committee’s in New Zealand and Australia. 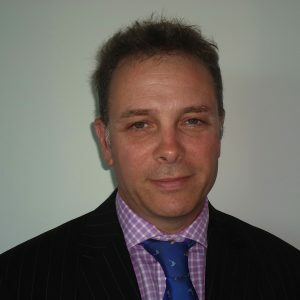 He works as a specialist upper GI surgeon in Wellington where he is Clinical Lead in General Surgery. He is the current Chair of the Training Committee in New Zealand.